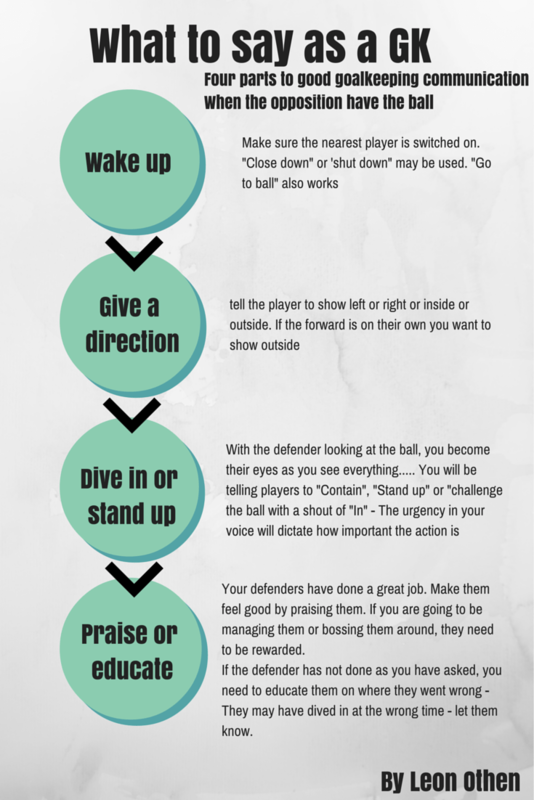 Goalkeepers are constantly being told to “Communicate” or “Talk” to the players but what do you say? I have come to the conclusion that a goalkeeper does not talk for one of three reasons. Not knowing what to say and when to say it. For the sake of this article, I will be concentrating on a small part of the third reason goalkeepers do not talk – Not knowing what to say and when to say it. See below for the four stages of communication when the defender is 1v1 with the striker. I created this flowchart to help goalkeepers to have a systematic approach to their communication.